Japan has been under deflation for almost two decades. Many economic politics had been taken with little or no result so as to increase demand. The new central bank governor announced a new phase of monetary easing by doubling the size of the money in circulation in two years. 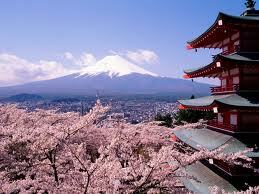 Japan has given new meaning to well known economic concepts such as “the lost decade” or “liquidity trap”. The later returned to prominence when Japanese economy felt, more than twenty years ago in a period of prolonged stagnation. When the official interest of a central bank is zero the monetary policy has a really narrow margin for increasing the economy. The Central Bank of Japan (Boj), has been for long the world´s most cautious central bank so this movement means a change for a target of a 2 per cent rate of inflation after 4 years with a yearly average inflation of zero. There is a political side of this bold movement: The country had seven different prime minister in seven years and this looks like the new government is massively involving itself in the affairs of the central bank. But this is not ecompletely new as lately the same happened in UK and the FED had taken any possible decisions to maintain the interest rates low while high unemployment rates remain high. These monetary revolutions focus in increasing nominal GDP and eliminate the ongoing deflation existing in the country. How these measures could cohabite with the worsening of the public finances and the rampant public debt is something to be seen. With a 90% of public debt held by domestic investors and a (high) national saving level of around 23% of GDP, the key issue will be to convince the national investor community.